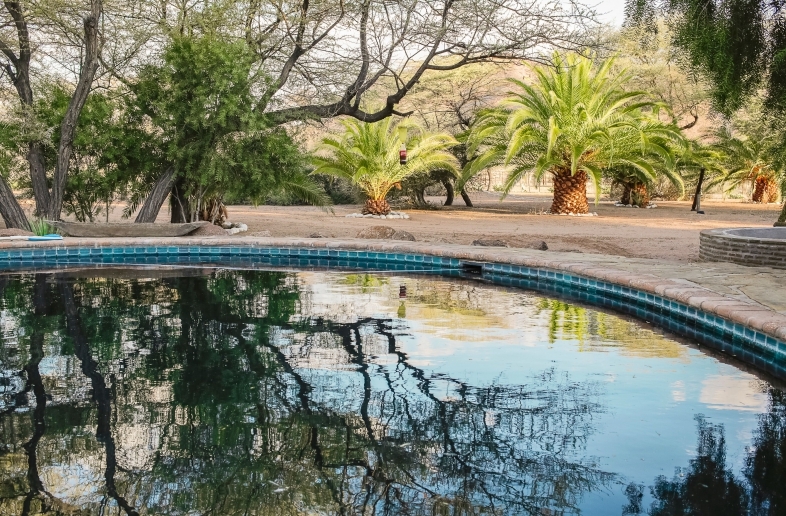 The Solitaire Guest Farm is just outside Solitaire and offers a great view of the Namib Desert and the Naukluft Mountains. The Guest Farm focuses on ecotourism and works with the N/a’an ku se foundation to make their land available to the Namib Carnivore Conservation Centre. This centre stimulates the rehabilitation and reintroduction of large carnivores in the area, particularly cheetahs. This offers you the unique experience to go out with field biologists on a cheetah follower safari. The spacious camping pitches are at the Guest Farm and offer plenty of shade. There is a swimming pool which you can use for free when ordering the breakfast buffet. The restaurant offers several meals. Various self drive 4×4 trips through Namibia and Botswana take you to the Solitaire Guest Farm.